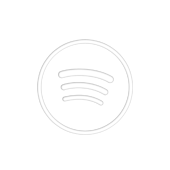 Shine a light on your Spotify playlist, with a rapid growth in organic followers. These are real profiles of real Spotify users, meaning a 100% safe and realistic follower count growth method. This is the entry pack of +100 playlist followers. Bulk packs with discounts, as well as Spotify artist followers, paid Spotify plays and tons of geo-targeted music marketing options are available on our Spotify promotion page. Want even more followers? No problem! Just order this or other mass follower services multiple times. We can easily do up 10,000 Spotify playlist followers.